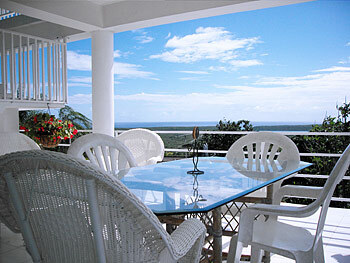 Located along side the Bittersweet Caribbean guesthouse is its sister property, Bittersweet Caribbean II. Featuring a spacious interior of 4 bedrooms, two bathrooms, and huge open kitchen, dining, and living room, this extremely comfortable house affords the vacation renter a fantastic home base to explore the magical island of Vieques. With the addition of a the large balcony overlooking stupendous ocean views and a private outdoor swimming pool, you can enjoy your stay at Bittersweet Caribbean soaking in the panoramic ocean view and tropical sun. Resting atop a high hill this very special place will be your first class vacation mecca. 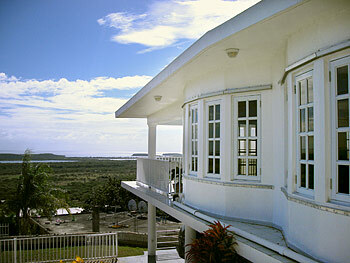 You will be only a five minute drive away from many idyllic beaches of Vieques. Bittersweet Caribbean II is ready to meet your every need. Owned and managed by Randy Thomas this spacious house offers the discerning renter comfort and spectacular outside lounging on its spacious deck and private pool. Bittersweet Caribbean II now also offers a one bedroom apartment as an additional rental to increase the number of your guests or as a separate rental for your own use. It features a living room area with open air views of the ocean and countryside, a kitchen and dining area, a bedroom, and outdoor covered terrace with wonderful views.